The House Committee on Education met this morning and voted on numerous bills that created lively discussions. Rep. Julie Mayberry presented three bills on public school health services. The bills stem from findings contained in a Public School Health Services Advisory Committee report. HB1442 provides for the advisory committee to continue its work and requires that results of each district’s annual school health report are shared with the school board. HB1443 specifies the minimum requirements for a school nursing center in new buildings and establishes a pilot program for grants to improve existing facilities. Both bills passed without opposition. HB1444 would modify requirements for nursing staff to include an RN supervisor in each district and specify a nurse-to-students ratio in accreditation standards. Committee members expressed concerns about job security for existing nurses and heard a variety of views on whether districts have funding to meet the staffing requirements of the bill. The bill failed on a roll call vote. Sen. Alan Clark brought back SB366 to provide additional compensation to teachers who voluntarily teach more than the maximum number of students per day and/or teach during their conference period. The bill failed to pass out of committee earlier this week. Addressing concerns that teachers would be pressured to volunteer, two superintendents said that the bill would help teachers who have to work several jobs, that teachers are not pressured into other voluntary service such as summer school, and that teachers have recourse through the grievance process. The bill passed and moves on the House. Rep. Bruce Cozart presented HB1623 to increase the minimum salary schedule for teachers by $878 per year in each of the next two school years. The bill is the recommendation of the Adequacy Committee in response to interim reports on a wide variety of adequacy issues. After discussion that ranged from the increases being too small to the difficulty for some districts to afford the increases, the bill passed. Sen. Jim Hendren presented SB789 to establish a facilities funding mechanism for public charter schools. A vigorous discussion ranged from the lack of “a level playing field” for charter school facilities funding to the absence of restrictions on the proposed funding to the longstanding tension associated with inequity among schools districts. The bill passed on a close vote. Rep. Clark Tucker presented HB1605 to ensure that a local community has access to information when its school district comes under state control. The bill specifies information that must be provided to legislators by the Department of Education or the State Board of Education when the state assumes control and requires that third parties contracted for school administration services are subject to provisions of FOIA. After a lengthy discussion, the bill failed in a roll call vote. 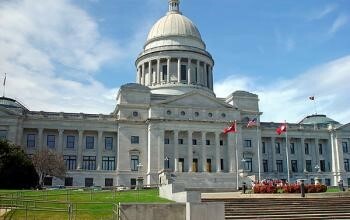 The House education committee meets again on Tuesday, March 24. The Senate education committee meets tomorrow morning, March 20, at 9:00 a.m.